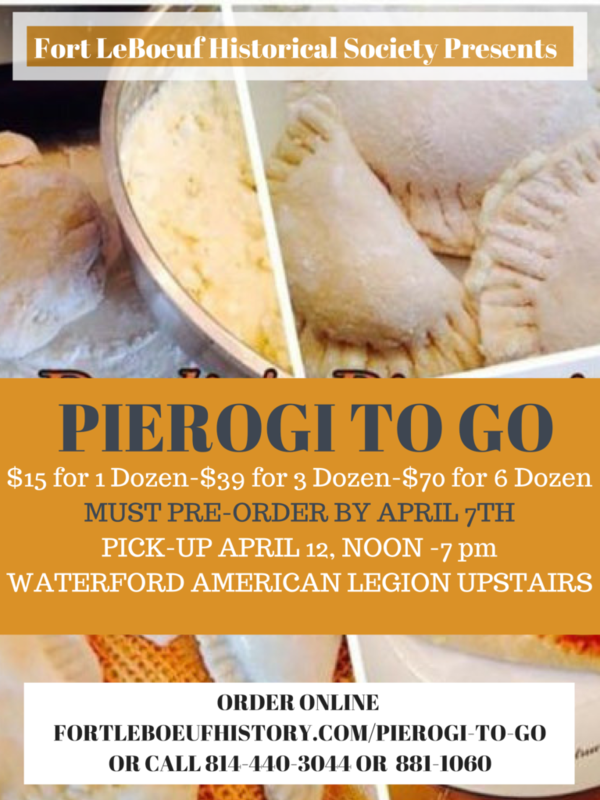 It’s almost time for the 3rd Annual Pierogi to Go Fundraiser for the Fort LeBoeuf Historical Society. Final orders due by Sunday, April 7th. Place your orders below! We do the work, you place your order, pick it up and enjoy! All orders are for takeout only. These delicious hand-made Pierogi have a classic potato and cheese filling. Take them home and saute in a pan with butter and onions. (if you like onions) Or pop in freezer to enjoy at a later date. ORDER BY PHONE Call JoAnne at 814-440-3044 or Sandy at 814-881-1060. 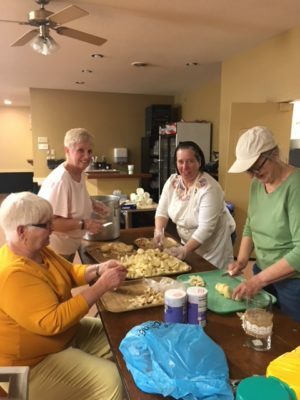 Yay…it is that time of year that the women of the Fort LeBoeuf Historical Society don their babushkas…or cowboy hats or whatever they have available, gather up their rolling pins and head to the American Legion kitchen to create delicious, pierogi for you. We do the work, you place your order, pick it up and enjoy! All orders are for takeout only. These delicious hand-made Pierogi have a classic potato and cheese filling. Take them home and saute in a pan with butter and onions. (if you like onions) Or pop in freezer to enjoy at a later date. Orders must be placed in advance either online, by phone, or by printing the form and dropping in the mail with your check. Pick up your order at the Waterford American Legion, Post 285, Waterford, PA 16441 on April 12 from Noon-7 PM.